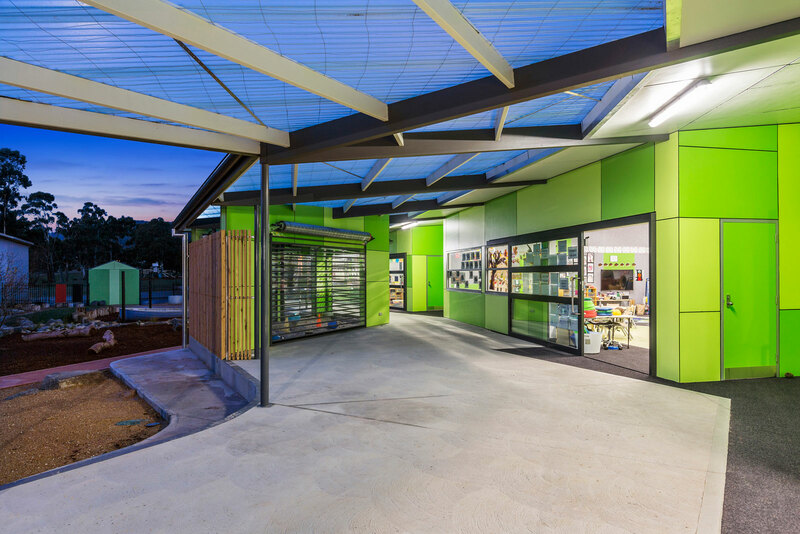 During 2013 M2architecture was engaged to help identify a suitable location for the inclusion of Grades 11 + 12 into Huonville High School. 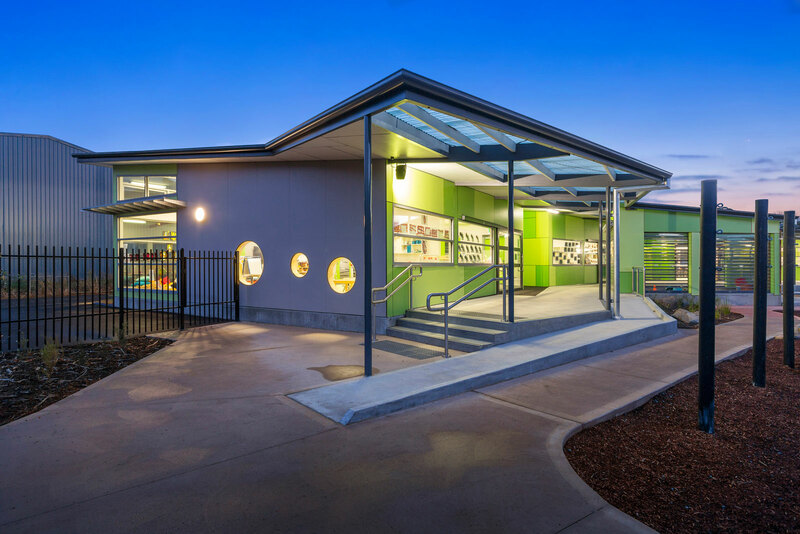 At that time the Kindergarten was located on the Western side of the High School, well away from the Primary School located on the Eastern side of the campus. 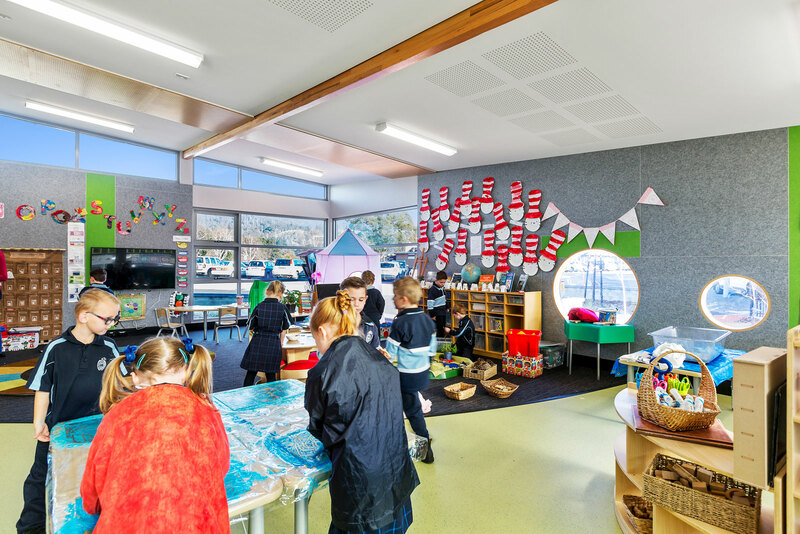 The master planning process concluded with a decision to adapt the existing Kindergarten building for the newly established Grade 11 + 12 students and to build a new 3-room Kindergarten adjacent to the existing Primary School. 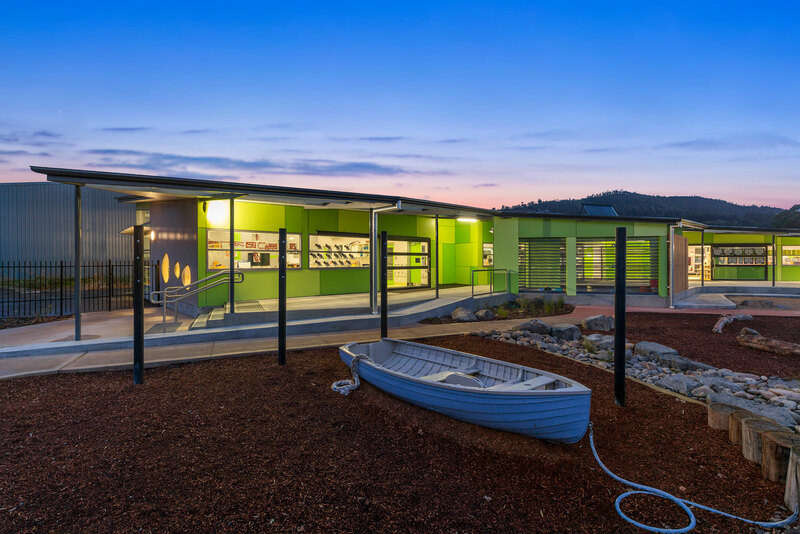 The new Kindergarten follows similar design principles developed for Waimea Heights Kindergarten and addresses the particular climatic circumstances of Huonville. 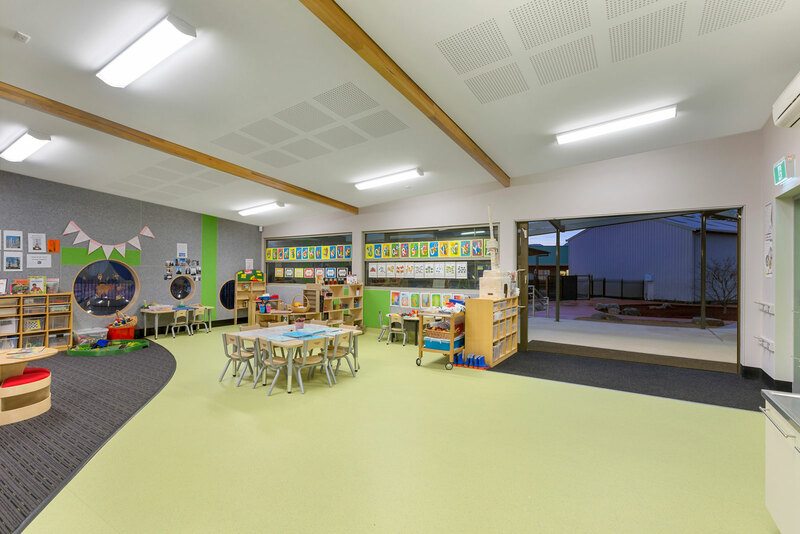 The spaces are light and bright, cross-flow ventilated, and interconnected. 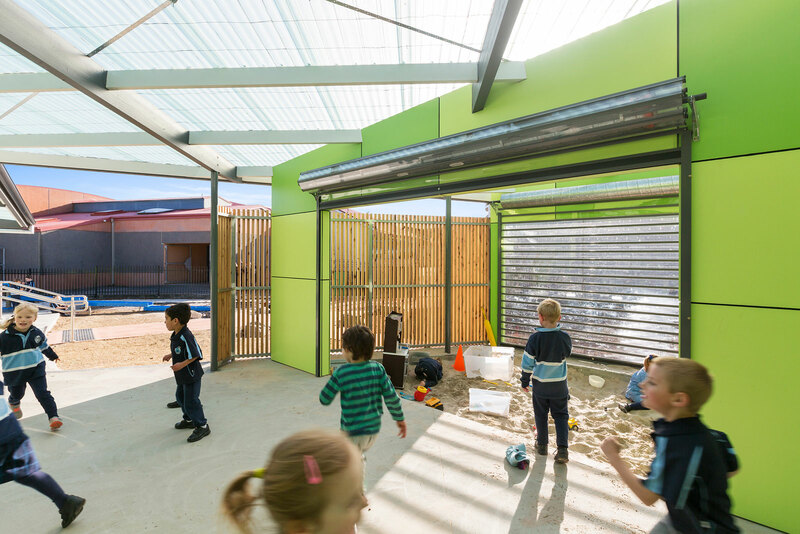 There is a generously proportioned covered external play area directly accessed from each learning space. 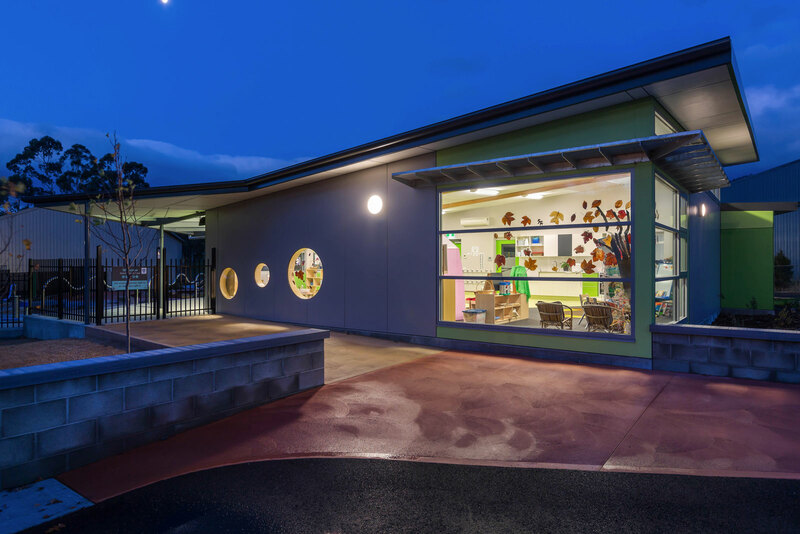 A wonderful nature-based playground provides a rich outdoor learning environment for children's play.